OLD PARKED CARS. : 1973 Mazda RX-3 Rally Car. 1973 Mazda RX-3 Rally Car. 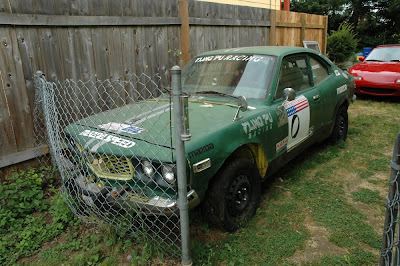 I could tell the owner was psyched on her rally car (she said "it's older than I am! "), but it would be awesome to see one of the rarest Mazdas brought back to appreciated daily driver status. 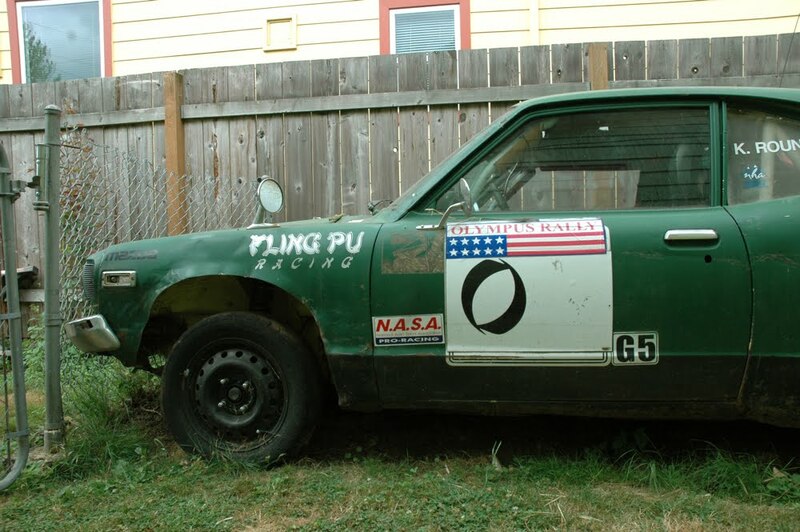 thats my old rally car. gave it to my co-driver when the pulled my log book. she let a bunch of monkeys work on it, and there it sits... breaks my heart. Thanks for the post, how'd you find our blog? Did you guys run it mostly original, or did you have any mods we'd like to know about? Man, she doesn't even drive it? Damn, that's effed up. Those steelies are kinda meh, aside from that it's pretty sweet. Holy cow! Just found the 3! Was crew for this beast and its sad to see her sitting there. Her natural habitat is sideways at full song in the forest. GenI 85'rx7 diff w/ LSD, as well as front struts assemblies. Only ran steel rims to support tarmac rubber. I'd have to say, this car may have the best comments of anything we've posted. Particularly the 3rd sentence of the last one. If that doesn't make you want one of these cars, then you're crazy. But I hope the brakes have been updated too! Do you guys have any more documentation online (photos, videos, etc)? 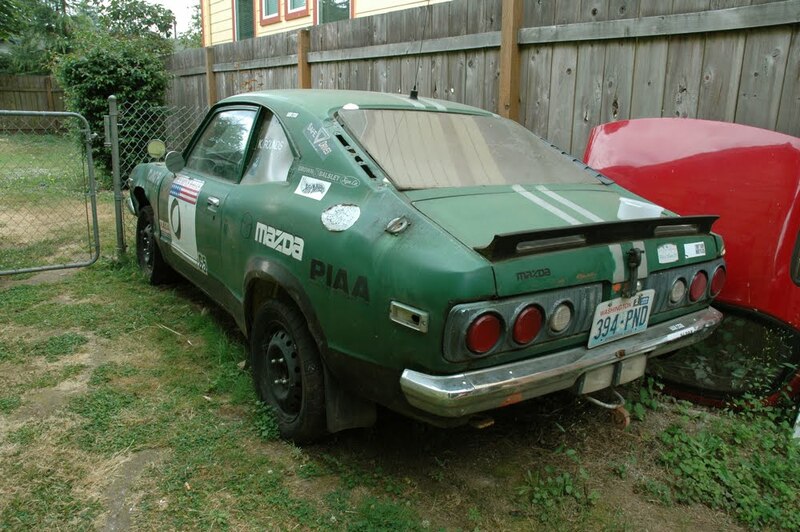 Is anyone going to restore it? 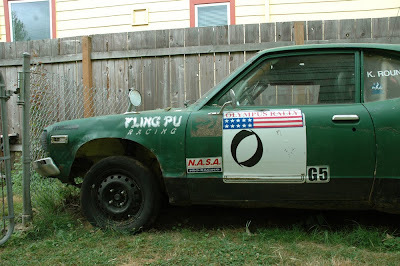 Fling Pu Racing? That's kinda funny. 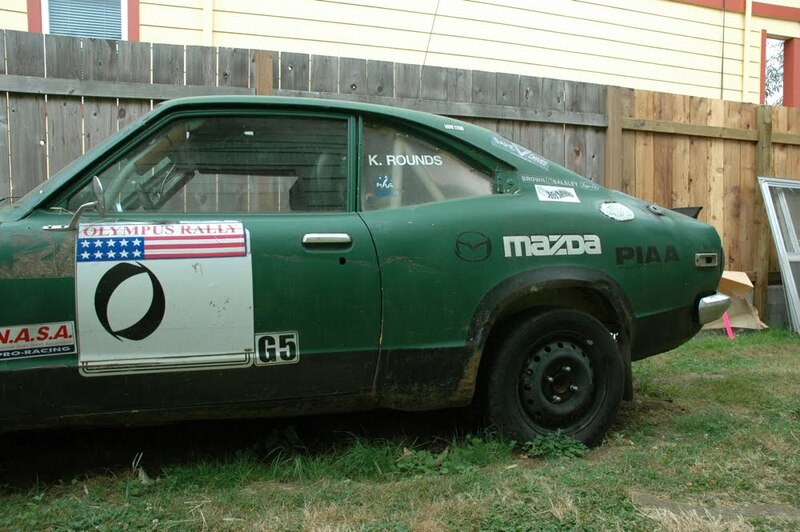 There's a first gen Mazda RX3 (or 808) in a local wrecking yard. I really wanna see it.